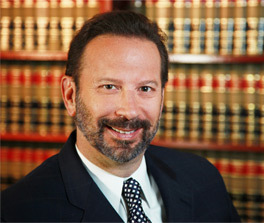 Jeff Rosenbaum is President and owner of Rosenbaum & Associates a nationally recognized law firm for the past 25 years. Mr. Rosenbaum has extensive experience in all types of personal injury cases and medical malpractice claims. He has assisted clients with catastrophic injuries as well as the more common auto accident and slip and fall cases. No matter how devastating the accident is Mr. Rosenbaum prides himself on giving each client and family the personal attention they deserve.Since the inception of the Firm in 1992, Mr. Rosenbaum has helped over 20,000 clients deal with the difficulties of associated with traumatic accidents and medical malpractice. Providing dedicated and caring legal assistance to victims and families and at the same time fighting the insurance companies to ensure his clients are fully compensated. Mr. Rosenbaum was born and raised in the Philadelphia area and now resides in Lafayette Hill, Pa. He got his under graduate degree from George Washington University and received his law degree from Villanova University. Since the inception of the Firm in 1992, Mr. Rosenbaum has helped over 20,000 clients deal with the difficulties of associated with traumatic accidents and medical malpractice. He also manages the firm with his co-owner and brother, attorney David Rosenbaum. David oversees the litigation department and has been practicing for over 20 years. He got his undergraduate degree from the University of Michigan and also got his J.D. from Villanova Law School. David was admitted to the Pennsylvania and New Jersey Bar in 1992, he is also a member of PA Bar Association and a member of The National Trial Lawyers Top 100 Trial Lawyers. He has successfully litigated thousands of cases. Since its inception the firm has grown and now has numerous associate attorneys and paralegals with a current staff of over 40 people. Both Jeff and David stay directly involved with all the clients to ensure they receive the same level of service they established when the firm first began.